This Printed Foil Envelope comes in multiple designs and is ideal for various occasions. With the aid of in-depth knowledge of this domain, we render the handpicked quality of Color Envelope. For designing of the products as per latest market trends, we make use of modern machinery. 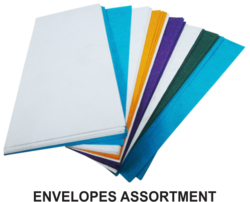 We have emerged as the leading position for offering a wide array of Color Envelopes to our valuable clients. Offered range is designed using ultra-modern machinery. 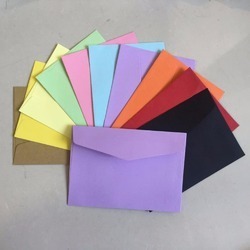 We have marked a distinct and dynamic position in the market by providing a high-quality array of Envelopes Multicolors. - Size : 5.5X3.5 inch.